There's no denying that Banff would have to be one of the most picturesque places in the world. To get married there would be an absolute dream, however it was a beautiful reality for Tamika & Chris. It was the spot they enjoyed their first trip together and also where he proposed. With their incredible love for the mountains and nature it made perfect sense that this was their wedding location and these gorgeous images prove it even further. 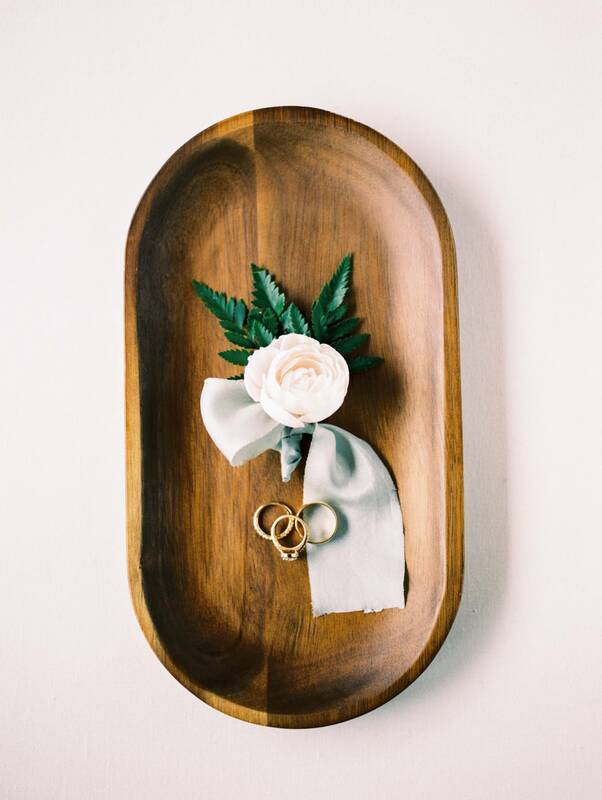 From the Bride: "I wanted our family and friends at our wedding to really be connected in the moment with us. I kept it simple and wanted to have neutral colours. I really love dusty purples, light mauves, and creamy pinks! We didn't need all the 'extras' because we knew the mountains and scenery of the beautiful Rockies spoke for itself." HOW DID YOU MEET? We met online, Tinder of all places. TELL US ABOUT YOUR PROPOSAL: Our first getaway together was to Banff, as Chris had never seen the beautiful Rocky Mountains. Fast forward to a few years later at Christmas, Chris had got me an amazing gift - a weekend getaway to the Fairmont Lake Louise... The catch, I had to wait until February. (Time went by so incredibly slow....) But finally the weekend had come and it was something out of a fairytale! At night we skated on Lake Louise, sat around an outdoor bonfire and admired the ice sculptures and stars and we ate the most extravagant meals I've ever tasted! The day of, we woke up and Chris had already planned breakfast to be delivered. I noticed there was a little card on my plate, when I opened it, he had the EXACT same words in this card, as the first time he sent me flowers after our first date. (At this point I knew something was up!) After breakfast we went to Johnston Canyon and hiked the "Ice Walk" (I'm not sure why they call it a walk, it was definitely a hike) Once we came to the end of the trail there was this beautiful frozen waterfall, it was gorgeous. That night we got all fancied up and went to the Mount Fairview restaurant and enjoyed champagne and a delicious meal. Chris had been acting weird all day, super romantic, and I'd catch him multiple times just gazing at me. I thought it was weird. After dinner we were causally walking back to our room, and Chris was making small talk and walking slower and slower until he stopped in the middle of the lobby. He told me "wait here" as he ran up this beautiful grand staircase to the second floor. A few minutes go by, which felt like forever, and I see him coming back down with the biggest smile on his face. He grabs my hand and starts walking me up the stairs, I'm confused and kept asking him what's going on until I'm halfway up the stairs and I started to hear our song (Yours (wedding version) by Russel Dickerson). Everything after that was a blur, I remember him sitting me down in an oversized chair and him getting down on one knee asking me "to make him the happiest man alive". I nodded my head because I couldn't get any words out. TELL US ABOUT FINDING YOUR WEDDING DRESS: It was my 25th birthday and I wanted to do something special for me, so why not go look at dresses! After going to a very large department store, I thought I would never have the "this is it" feeling, until I went into The Bridal Boutique in Edmonton. It was a cute boutique with so many beautiful dresses! I had gone alone to look at dresses, never thinking I'd find THE ONE! I was helped by the owner, Lillian and her daughter, Dorothy. I remember exactly what I wanted; lace, long sleeves, and form fitting. I had glanced at the Calla Blanche collection, but thought that I wanted more of a 'simple' dress. Until I tried on THE dress. I lost my breathe and couldn't stop staring at myself. I had that feeling!! That was the first time I truly felt like a bride to be. DESCRIBE YOUR WEDDING FLOWERS: Pale pinks, mauves, and rich creamy roses, with silver dollar eucalyptus. To me, they had the romantic feel. FAVORITE DETAIL OF THE DAY: My favorite detail would've been my flowers and how my Matron of Honour really changed them. The bouquets, boutonnieres and corsages were not what I had wanted, but after she was done with them I was so in love, it was like she knew what I had envisioned the whole time. WHAT ADVICE WOULD YOU GIVE OUT TO A COUPLE PLANNING THEIR WEDDING? Spend the money to get an amazing photographer AND videographer. This is really the only physical pieces you have to look back on, on the smallest moments you may have missed while it was all happening. I am so happy to be able to look back at both pictures and videos. MOST MEMORABLE MOMENT? My favorite moment would've been our first look. Our photographer Lyndsay planned for us to meet at the Bow Valley Falls, Chris ended up meeting us there. This was my most favorite moment because the day/morning goes by so incredibly fast and it was hard to stop, and take a minute, and take it all in. Until this moment. I was able to have a few minutes and breathe while I stared at the man that was soon to be my husband. Hearing the falls in the background and having an intimate moment with Chris really calmed my nerves. This will forever be memorable. ANY OTHER DETAILS THAT HELP TELL THE STORY OF YOUR DAY? Unfortunately, the smoke from the BC wildfires has rolled in the day prior and blocked most of the breath-taking views of the mountains, but our lovely photographer was able to find ways to make our photos look more original and elegant. The smoke ended up making a beautiful haze in the photos, that I absolutely love! Love this Banff Wedding! You're a great wedding photographer! Love the airy feel in this outdoor wedding in Edmonton!! You captured all the details so beautifully!! Stunning! Thank you! I think the smoke really added to that airy feel that day. These photos are gorgeous! Definitely a timeless Banff wedding photographer! Banff is on my bucket list and seeing these beautiful photos makes me wish I was a Banff Wedding Photographer! I love your work! Thank you so much Cathy! It really is a blessing to live so close to those gorgeous mountains! This Banff wedding is absolutely gorgeous, it looks like a magazine editorial! Talk about wedding goals! Great job at capturing their incredible wedding! Thank you Amy! It actually was featured on Magnolia Rouge last week :) Tamika & Chris really knocked it out of the park! This Banff wedding is GORGEOUS! Your film work looks amazing!! Such lovely colors! Thank you Katy, film for the win! best Banff wedding photographer ever! Thank you so much! I love Banff Weddings! LOVE LOVE LOVE this Baniff wedding, you captured every moment and detail perfectly! Banff is such an incredible place to get married! These are just so dreamy! You are so right. Banff Weddings are the best! Woooow this wedding is gorgeous!! Banff is amazing! I couldn't agree more. Banff is spectacular! This Banff Wedding is AMAZING. Beautiful colors. You're a great photographer! Thank you so much Alexandria. You are the sweetest! What a beautiful wedding, the photos are amazing! Thank you so much Shelby, it really was a gorgeous Banff Wedding!